Mazo&apos;s is on my 2018 Milwaukee list. Published Jan. 11, 2018 at 1:07 p.m. But, as I thought about my recent restaurant visits, I couldn't help but think that I was ignoring my own advice: make a restaurant list and hit places you haven't been. This week alone, several people have asked for me for recommendations. And while I can rattle off great places, I'm no Lori Fredrich and I didn't have a list of places that I wanted to go for 2018. So, that needed to change. The below is my list of Milwaukee restaurants that I need to go this year. I highly suggest you make one for yourself. We're all creatures of comfort and habit, but having a list helps force us out of our convenience zones and into more of the great places that seem to be opening each and every week in Milwaukee. Dine on, Milwaukee. And, make that list now and put it in your phone. Everyone seems to love this place, from the vibe to, of course, the food. Sorry, JoAnne and Nick, that we haven't been in yet. This will change in 2018. No excuse here. I love tacos. See you soon, Justin. Just drove by last Sunday on my way to the airport – and sadly failed to stop. Our 10-year-old loves ribs, so obviously the Milwaukee ribs will be a must-try. 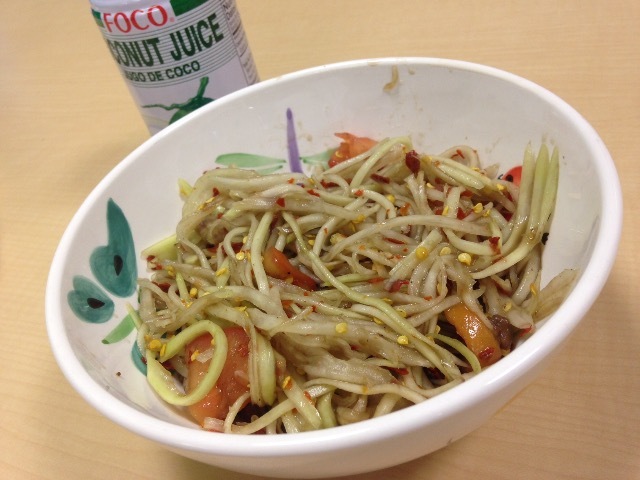 I've had food from Asian International Market – thanks to Nick Barth, Matt Mueller and their Burning Through Brew City visit, I sampled its extremely spicy but extremely tasty papaya salad – but I've never been inside. Will do. El Senorial Mexican Restaurant has a passionate fan base. It's a shame that I've been there yet. Many rave about the Somali dishes, appetizers and sandwiches at Blue Star. I probably drive by it daily – but one of these days, I actually need to stop in. I sense a Mexican food theme in this list. La Casa de Alberto opened in the former Lopez Bakery space at 624 W. National Ave. The owners, Alberto and Laura Gonzalez, worked at Conejito's for 18 years. Done and done. Finally, I'm a bad Milwaukeean for never haven't stepped foot in Mazo's. Burger me in 2018. That's it. For now. What's on your Milwaukee restaurant resolutions list for 2018? Can you guess Milwaukee's most popular Lyft destinations?